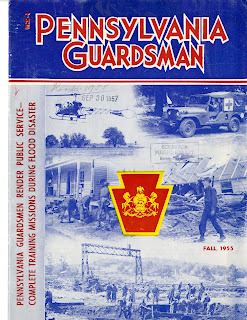 The Pennsylvania Guardsmen was a magazine published about the Pennsylvania National Guard. This periodical contained stories about the Guard and what they were doing at the time. 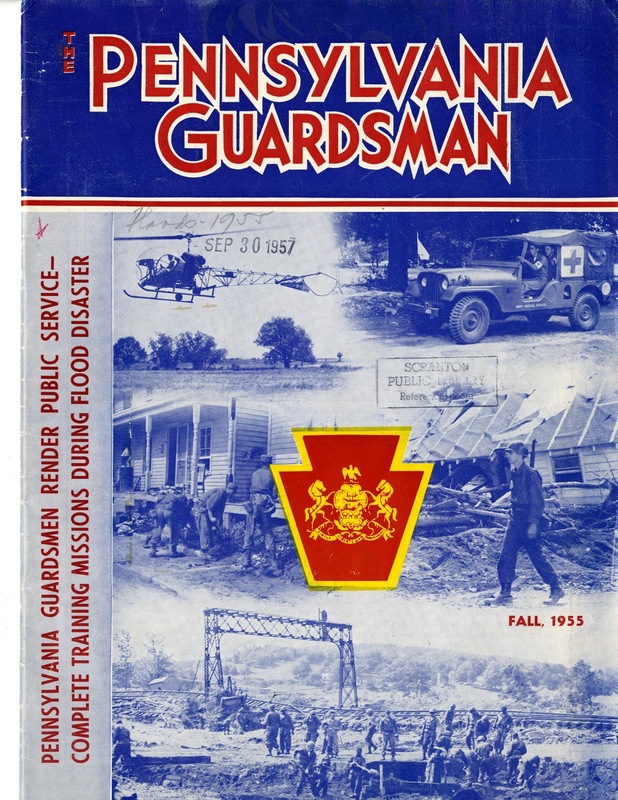 This issue released in the Fall of 1955 focused on the National Guard deployed in Northeast Pennsylvania after Hurricane Diane. The magazine features photographs of the disaster along with the story behind it. If your interested in the National Guard the whole magazine was scanned in our digital archive.